Ancient Chinese sages and philosophers were inspired by beautiful China scenery and wildlife to create Tai Chi and Qigong exercise systems that worked in harmony with nature and the passing of the seasons. 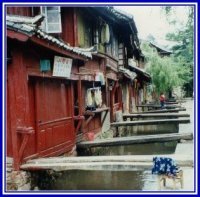 One of our friends kindly allowed us to use these photos from her extensive collection taken while she lived in China. We hope that you, too, are inspired.